In this post we’re going to see how we can paint vertices during runtime. 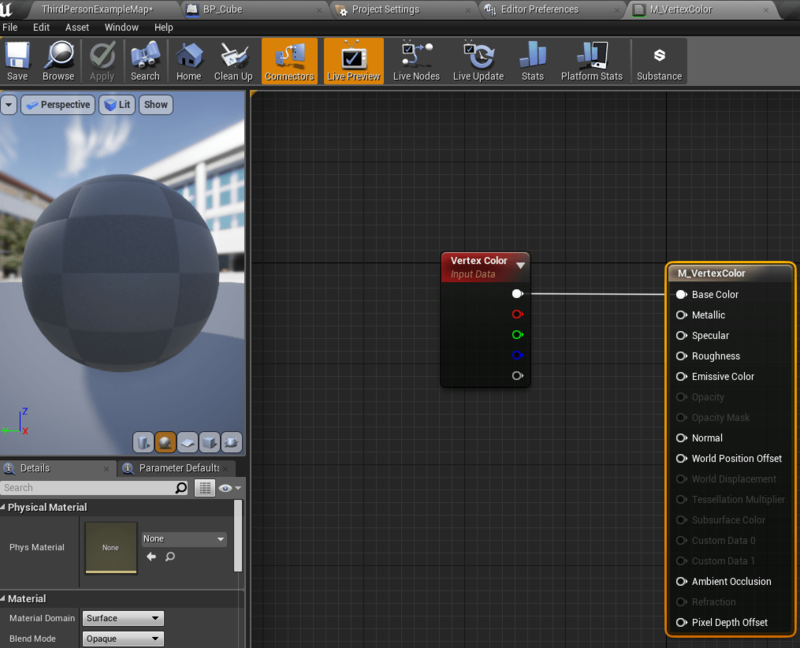 This post was created with Unreal Engine 4.20 so if you’re using another version you may need to update the code to match Epic’s API for the engine you’re using. It’s worth mentioning that the following code runs in packaged builds as well.